KEHPCA was among 10 winners chosen from more than 1400 nominees from around the world. Kenya Hospices and Palliative Care Association (KEHPCA) was honored with a Red Ribbon Award in the Treatment, Care and Support category during the XIX International AIDS Conference in Washington DC on Wednesday, July 25. 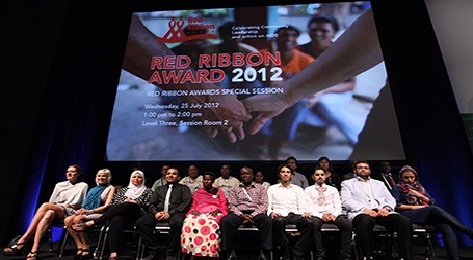 The Red Ribbon Award is presented every 2 years at the AIDS conference to recognize and celebrate community-based organizations for their exemplary initiatives that display leadership in reducing the spread and impact of HIV/AIDS. KEHPCA is a national association that represents all palliative care service providers in Kenya. Its mission is to scale up palliative care services to bridge a significant gap between those who receive services and those in need. KEHPCA is a partner of Foundation for Hospices in Sub-Saharan Africa (FHSSA), an affiliate of the National Hospice and Palliative Care Organization.